Web09 Auckland is a web conference that flew in 9 international speakers to present on a huge range of subjects relating to web development and design. The event was run by Bluespark and held at the Langham hotel in Auckland over 2 days and also had 2 days of hands on workshops. 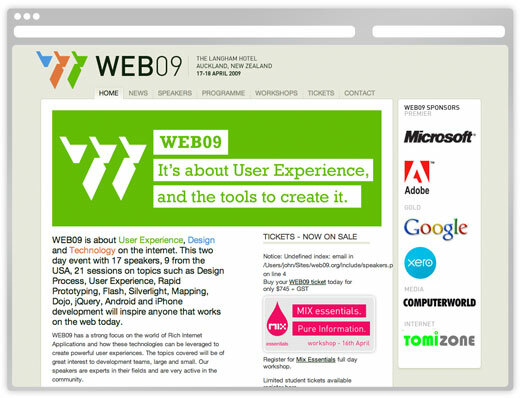 An incredible amount of work and energy went into making this event a massive success and we look forward to bringing Web09 back to Auckland again in the future.